Each year the ELS (Equity Life Styles) RV communities in South/Central Florida provide an Expo for all members/residents. 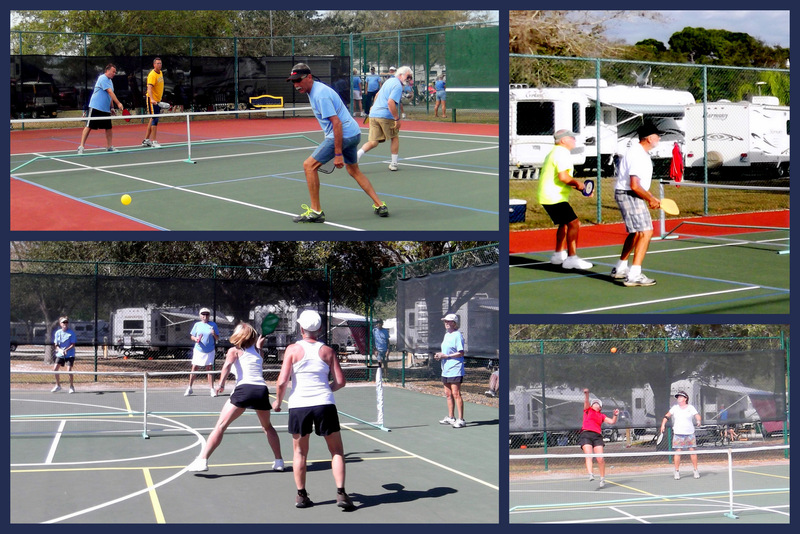 This includes a variety of activities, and in 2012, Pickleball was added to the host of events. This is the second year that the Harbor Lakes RV Resort in Port Charlotte has been the host, this year for the Ft. Myers Expo. Players and spectators alike enjoyed the absolutely beautiful Florida weather that day. 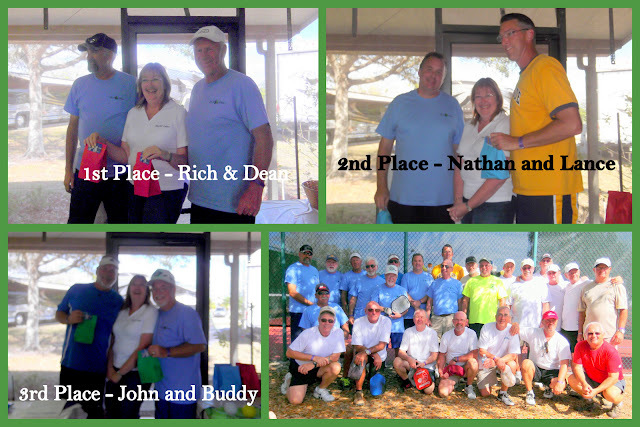 And food and refreshments were provided to players and guests for $5 allowing a break from the sunshine..
And below are pictures of all the competitors along with the winners. Harbor Lakes may have been the host resort for the day , but the entourage of players in their blue t-shirts from Peace River was the largest and they went home the biggest winners of the day. 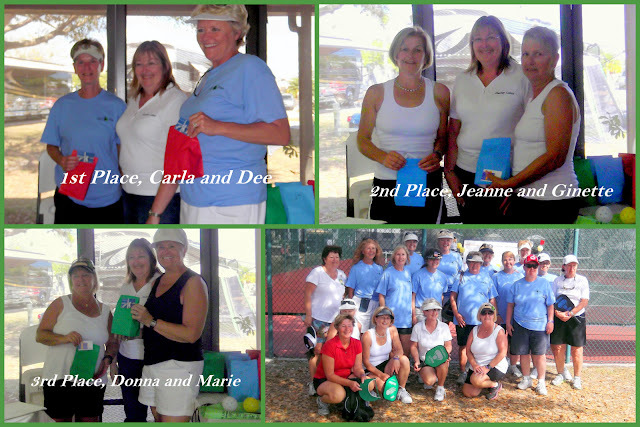 For the ladies, First and Third place went to Peace River, and Second place to the ladies of Harbor Lakes! And the men.... all from Peace River. A very special thank you to Harbor Lakes Manager, Kim Harper and all the volunteers under the leadership of resident Marty Krinhofer for providing an excellent day of great food, great fun and great pickleball!. 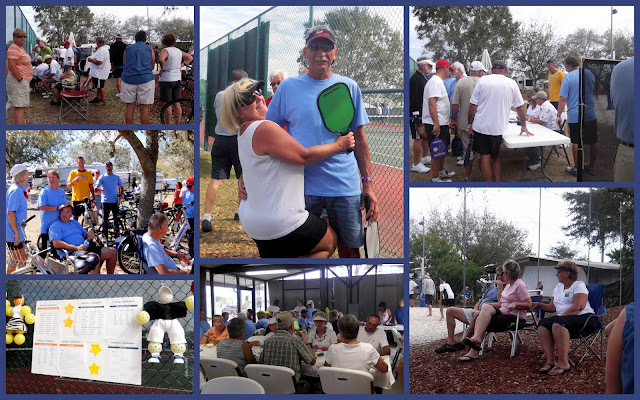 The ELS Sarasota Expo will take place in March and pickleball will be held at the Bay Indies Community in Venice Florida on March 6th.